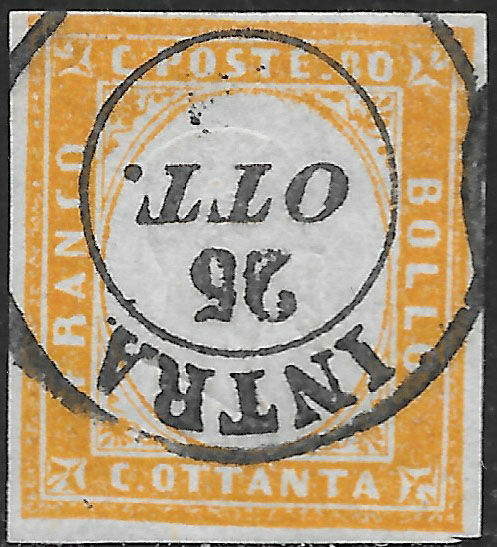 IV issue 80 C. bright orange, Sassone 17D, used with D.C. cancellation and INTRA 26/10 rosette without year. 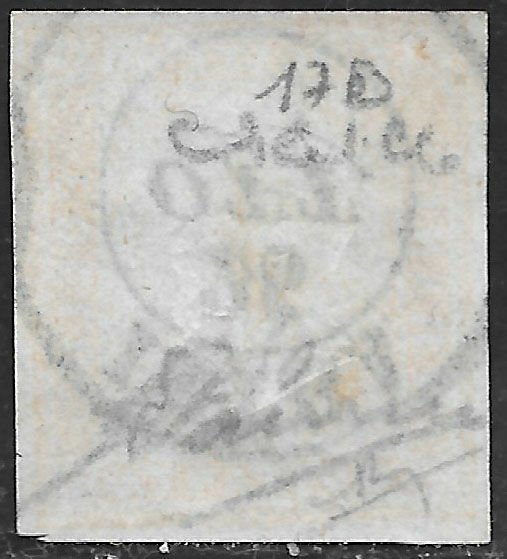 Emilio Diena and Luigi Raybaudi signatures. For obvious reasons the colour of the image is not truly representative, but it is guaranteed to be as described.